Our Company is unique in the industry as we are a “hands on” company. Our sales office is located at the packing facility so we see what we sell the moment it’s packed. 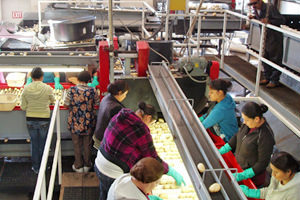 We oversee the harvesting operation, the packing operation, quality, food safety, and the shipping. We schedule trucks so they are loaded in a timely manner. We invoice, remit, and do all crop accounting including inventories, pack-outs, and field reports. We do all this so our growers can concentrate on what they’re best at, Growing; and our customers can have complete confidence in our Company and the products we represent.